I appreciate the ease of ordering, the consistency of your delivery and the extra care the delivery people gave - they brought my goods to my unit. As anyone who has spent long hours at the office knows, a quality office chair is essential. For all the "desk warriors" out there, we've got exactly what you need with the Executive Office Chair with Lumbar Support. 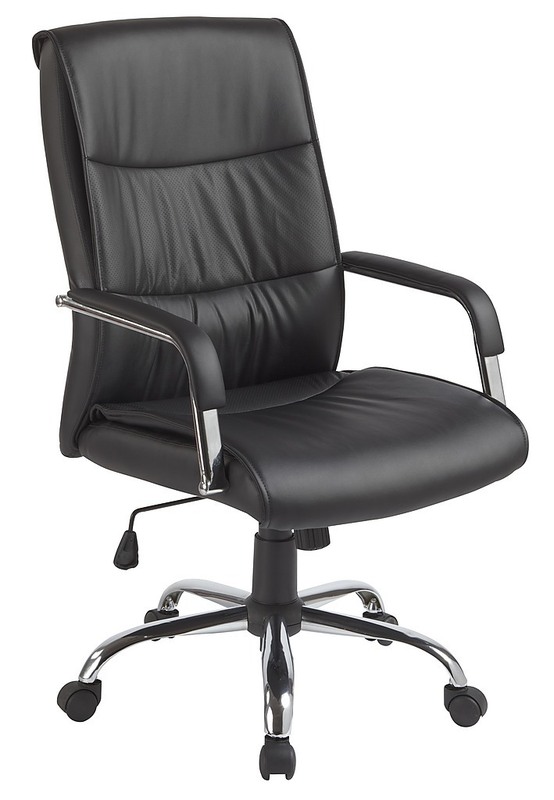 This office chair in all-black features quality craftsmanship that translates into durability and comfort. A premium PU leather has been chosen for its resilience and for its look and feel. This material is hassle-free; just wipe with a soft cloth to keep it looking fresh and new. And its classic design is sure to turn heads and impress clients. But naturally, looks are not the only consideration. Independent height and tilt adjustments make sure your hips are aligned and that your feet stay planted firmly on the floor, which is important for long-term proper posture and reduction of body fatigue. Double-layer padding — complete with extra padding on the arm rests — ensures supreme comfort which promotes back and spinal health. And a built-in lumbar support provides a firm foundation to ease lower back ache. The base is made from a tough powder-coated chrome finishing, and five wheels give you a full 360 degrees of rotation for mobility and portability around the office. 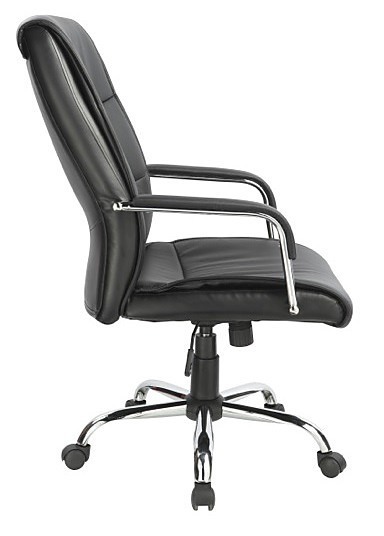 Treat yourself, and eliminate the body aches that come with an inferior office chair. 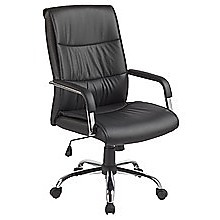 Purchase your Executive Office Chair with Lumbar Support today. A perfect storage solution for the person who has too many shoes this 10 Tier Stackable Shoe Rack - 50 Pair! Unclutter your life and free up that wasted space into a neat tidy tower of shoes and be the envy of everyone! Picking out a shoe to fit your outfit is so much easier and convenient - with al.. When you need sturdy legs for tables or benches, look no further than these three-wire hairpin legs from Randy & Travis Machinery. Commercial grade and sturdy enough to support up to 200 kilogrammes, these legs are perfect for restaurants, cafes, event venues, architects, and boutique furniture make..
X marks the spot for cutting-edge design with these industrial-inspired X-shaped table legs from Randy & Travis Machinery. Crafted from thick, black-coated sturdy steel, these table legs can handle loads up to 300 kilogrammes—just in time for holiday tables laden down with food. Fully welded with..